On this windy day, the vendors’ tents stretch down Madeira Way, some skittering east as if spooked. Gary Parke is a fixture here, his white awning peaked like a circus big top. Local Fresh Picked Produce, his sign reads. Pesticide Free. Part 1: Restaurants. We’re being fed a story. 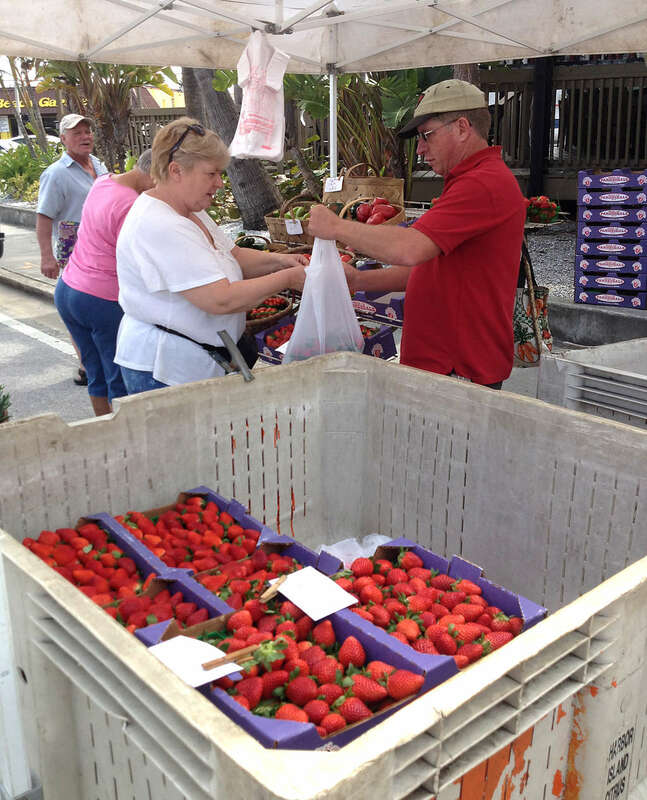 He’s heavy on strawberries this time of year, but on this day in February at the Mid-Week Madeira Beach Open Air Market, he also has bins of peppers, squashes and grape tomatoes. Tucked into the produce is a Sharpie-lettered scrap of paper: Yes! I’m the farmer who grew it. I talk to him four different times at four different markets. His story is always the same. His family runs Parkesdale Farms and has farmed 300 acres for three generations in Plant City. He broke off 13 years ago and did his own thing, called Parke Family Hydro Farms. He has 2 acres of hydroponics on Tanner Road in Dover, he says. In addition to markets in Gulfport, Ybor City, South Tampa and Wiregrass, he is a vendor at one in Kissimmee and another near Orlando. The address is on his Facebook page. I drive there, and I do find 2 acres of five-tier hydroponic stackers. 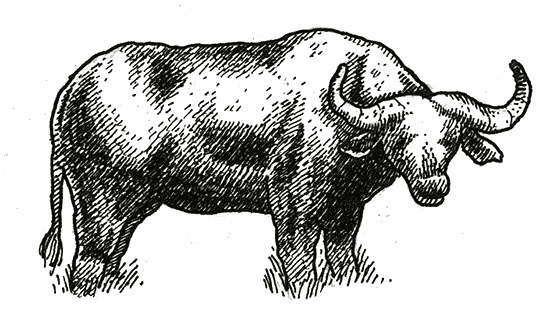 They lean crazily, bleached by the sun, tufts of 4-foot weeds bristling between long abandoned rows. Most of us have not planted seeds and watched them germinate. We have not amended soil with loamy compost and mopped our brows under the shade of an orchard in bloom. We are disconnected from our food. Around the country, farmers markets have become ritual weekly opportunities for us to connect in some small way. In Tampa Bay, people park dog strollers to browse beeswax candles and wait for grilled cheeses while listening to one-man bands Rolodexing the Buffett oeuvre. They fill string bags with produce. And few people seem to know that there are nearly no farmers. That this stuff came from Mexico, Honduras, Canada. That your grocer has already passed it over. Over several weeks, I visited Tampa Bay’s outdoor markets. At a dozen different markets, I counted 346 discrete vendors, many of whom sell at multiple markets. Of that number, only 16 sold their own produce, honey, eggs, meat or dairy. Plenty of wind chimes and hot sauces, but less than 5 percent represented Florida farmers growing their own food. Many vendors at the outdoor markets are not growers but resellers, and there’s a reason for that. Publix, one of the 10 largest-volume supermarket chains in the country and the largest in Florida, is based in Lakeland. “When produce is shipped in, they want it to get to Lakeland so Publix will choose it,” said Cathy Hume, co-owner of Urban Oasis, a hydroponic farm in Tampa. The selection process can make for a lot of leftovers. It’s raining steadily, but 83 vendors have set up booths at the Fresh Market at the Shops at Wiregrass in Wesley Chapel in February. 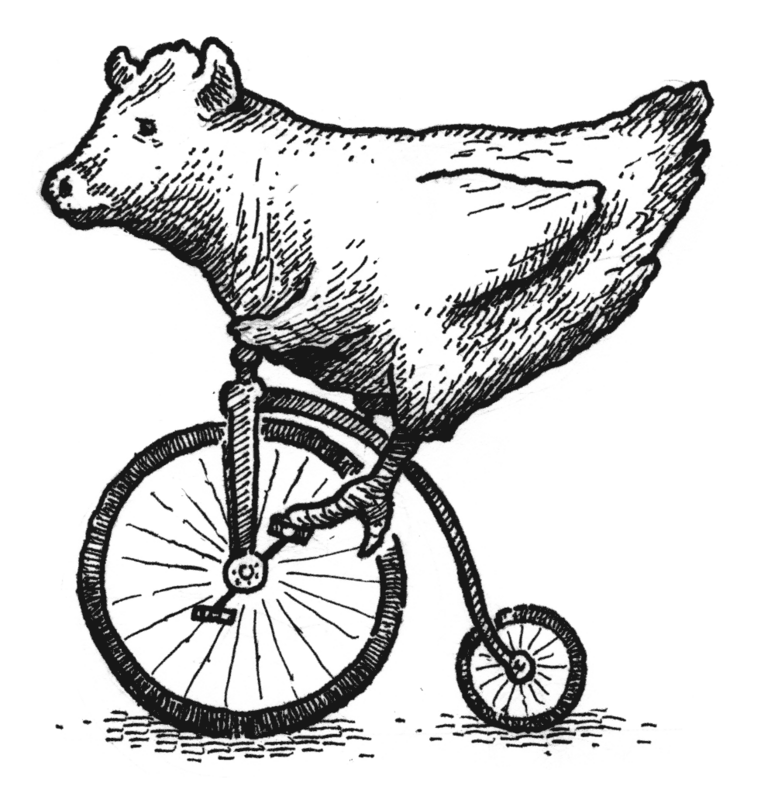 There are two Florida honey guys, a live herb and a kumquat vendor, two produce farmers and Peaceful Pastures Farm, pasture-raised meat and eggs from Zephyrhills. The largest category is prepared food (31 vendors). I splash past Dog Jerky Flea Treats and the King’s Nuts and slip under the canopy at Lee Farms. I ask a young woman if the produce is from her farm. She says yes. I ask if it is all from her farm. She says no, they buy from neighboring farms. When I notice asparagus and apples, which generally don’t grow in Florida, I ask if it is resold produce from a broader radius. She says yes. And then I ask, specifically, which items are grown on Lee Farms. In 40 seconds, Lee Farms went from growing everything to nothing. I call the farmer, Christina Lee, whose Lee Farms is in Webster, and tell her about my experience. A lot of her crops were destroyed because it was a late winter, she says. She admits to visiting the wholesale market and selling Caribbean fruit and asparagus from Peru. 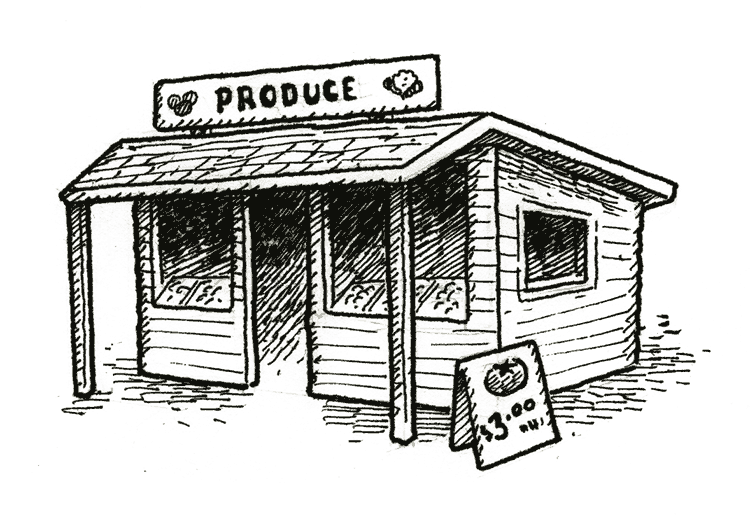 Does she say all produce in their booth is their own? After a field has been commercially harvested, people called “gleaners” offer a farmer a flat fee to scoop up the scraps. Folks called “pinhookers” buy up the excess at wholesale markets, stuff deemed not desirable enough to get shipped around the country to big supermarkets. So while that tomato still looks pretty good, it may have been languishing in the field. Or it might have been picked and packed in Sinaloa, Mexico, then trucked into the United States at Nogales, Ariz., where, at an operation like Farmer’s Best International, it may have been loaded onto another truck bound for one of the big produce markets in Atlanta or Immokalee. 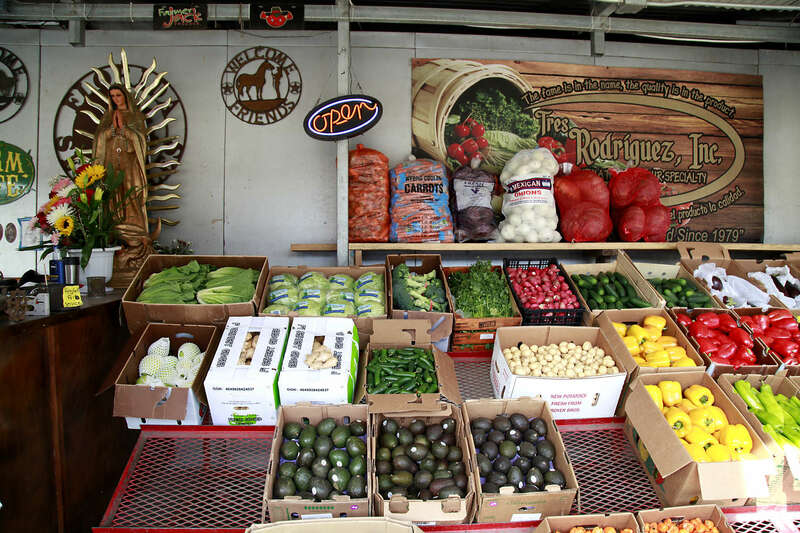 From there, it may have gotten on a different truck, headed to the warehouse of another middleman like Grimaldo Farm Fresh Produce, which may have then trucked it to the Plant City Farm & Flea Market. At that point, it may have awaited purchase by someone like Reina Andujar, who sells it from a booth at the Haines City Flea Market. It may have gone to a small grocery store. It may have gone to a restaurant or restaurant supplier. Or it may have gone to a vendor at one of the Tampa Bay outdoor markets. The “farmers” markets. 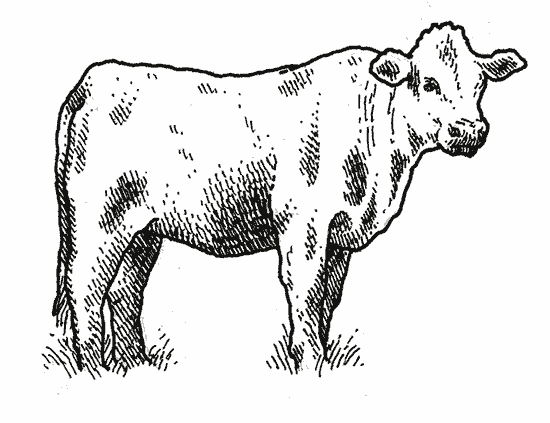 The Florida Right to Farm Act and Florida’s cottage food laws allow business owners with sales less than $15,000 a year to sell direct to consumers without any licensing, permits or facility inspections. All of this opens up a range of scot-free opportunities for those inclined to take short cuts or bend the truth. That tomato from Sinaloa logged a lot of miles, miles that take a toll on freshness. But while grocery stores are required to indicate the country of origin for produce, meats and fish, vendors at outdoor markets don’t have to. They can just peel off the stickers. 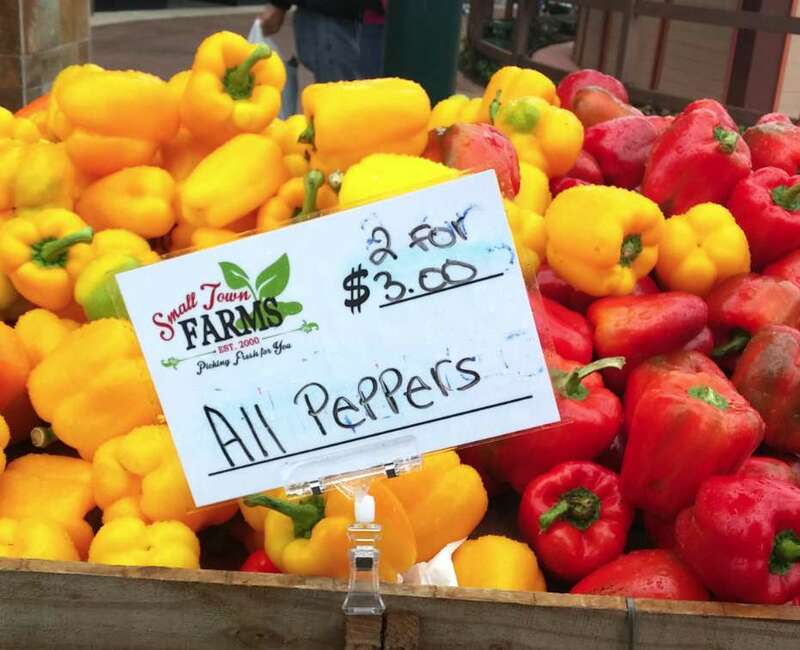 Every Thursday morning for more than 10 years, the city of Safety Harbor has hung signs calling motorists’ attention to its weekly farmers market. 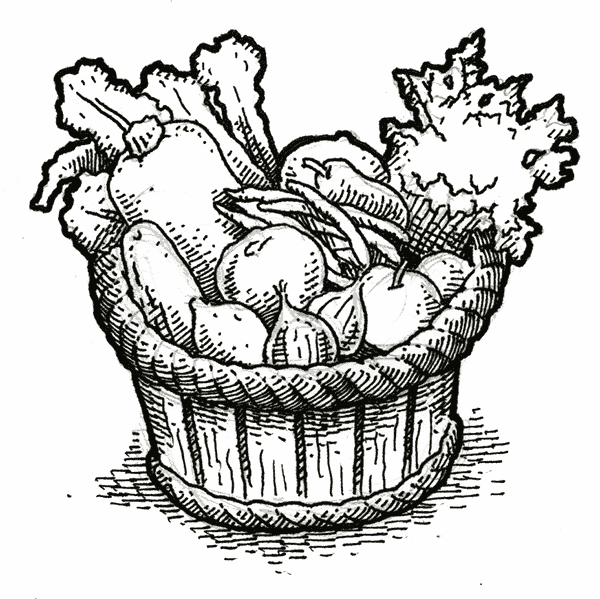 At the gazebo at the heart of downtown flies a white and red banner emblazoned with the words “Farmers Market,” and a picture of a basket of produce. On Feb. 11, there were no farmers. In fact, there wasn’t much of anything: a hot dog vendor, two jewelers and Kilpatrick Produce, a reseller. Even the market manager thought the sign was a misnomer. City Manager Matthew Spoor saw things differently. But at the March 7 city commission meeting, commissioners voted to turn the market over to the Merchants of Safety Harbor. And on April 3, it debuted with a new name: Market on Main Street. “Oh, that’s the experimental plot,” Gary Parke says when I call after visiting his defunct farm. 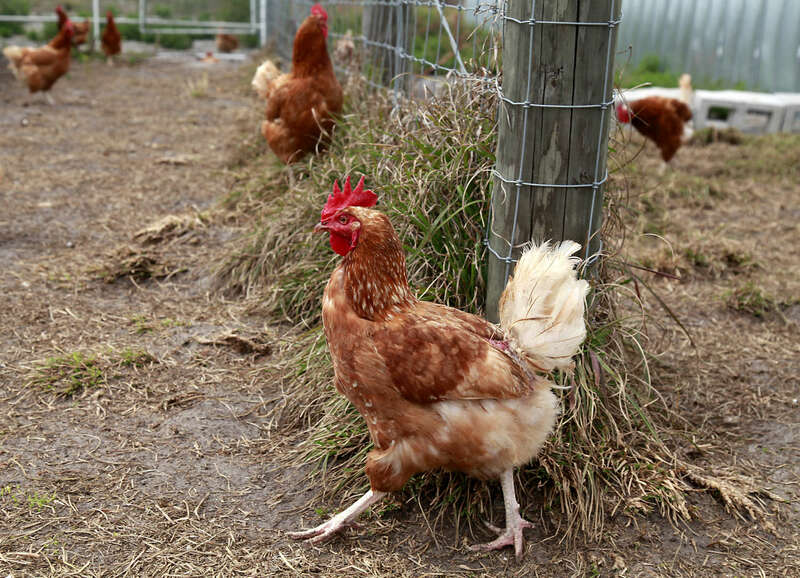 He doesn’t give the location of his real farm, he says, because he lost $25,000 from theft. He says he moved it down the road on Tanner, behind a fence. “I haven’t opened it up to people or journalists and I haven’t had so much as a shovel stolen,” he says. I tell him we won’t steal his shovels. I tell him we won’t reveal the whereabouts of his real farm. He declines to say where it is. Though he purports to grow strawberries, Sue Harrell from the Florida Strawberry Growers Association doesn’t know anything about Gary Parke. Matt Parke, Gary’s nephew, runs Parkesdale. I tell him his uncle’s farm is derelict and that Gary Parke said there was another farm. I drive Tanner Road, going down side roads and dirt driveways, peering behind every fence. I check Google Earth, visit every address that has been in Parke’s name. 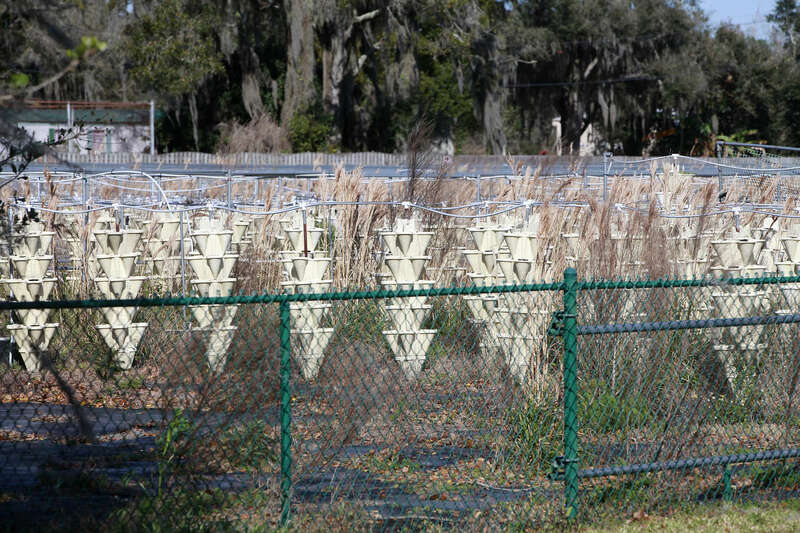 I ask neighbors and Plant City businesses about a hydroponic farm. They all know the defunct one, but no other. 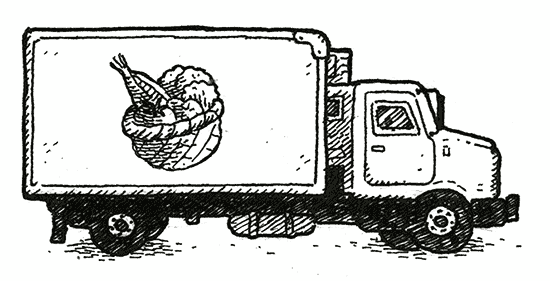 At Parke’s home, his white truck is flanked by stacks of boxes with the markings of different produce companies. So, if Gary Parke is not a farmer, he’s a reseller. 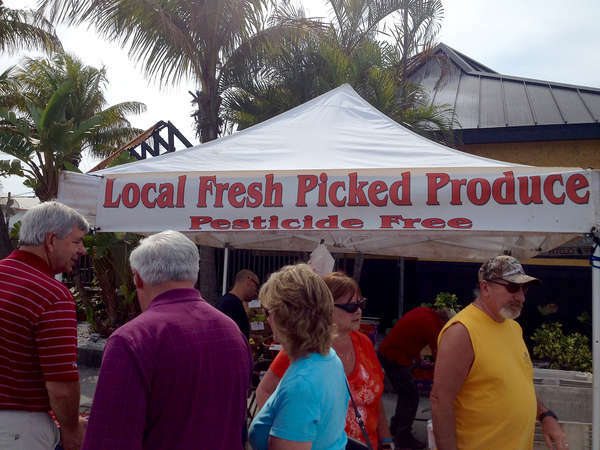 If he is a reseller, it means his claims of “local,” “fresh picked” and “pesticide free” should be questioned. And if he is a reseller, it means the managers of markets where he vends have failed to vet his claims, even minimally. In fact, Parke was thrown out of the Sarasota Farmers Market in 2013 for misrepresentation. “Parke Hydro did a presentation and got approved to vend at the market,” said executive director Phil Pagano. “And then they started promoting themselves as all organic. Let’s go back to that Mid-Week Madeira Beach Open Air Market for a minute. With the tagline: “Local produce, growers, specialty and gourmet foods, fine arts and crafts, community connections,” there were 48 vendors. If we reclassify Gary Parke as a reseller, that means there were two produce resellers, nine jewelers and eight craft vendors. Shamrock Shine wipers competed with Spiff Cloth for dominance in the dusting space; Niconi’s Treasures pet clothing duked it out with dietary supplements for dogs. But if we don’t count Gary Parke, there were exactly zero farmers at the market. 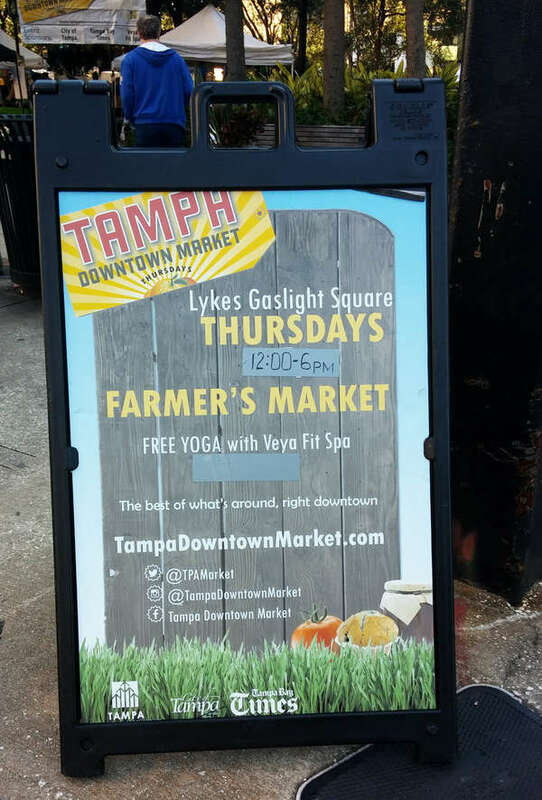 A couple of blocks from the Tampa Museum of Art and the city’s bustling Riverwalk, a sandwich board sits near the police station: Lykes Gaslight Square Thursdays Farmer’s Market. ... The best of what’s around, right downtown. Georgea Snyder used to run farmers markets in Brooklyn and on the Upper West Side in New York. In September, she took over as manager of Tampa’s downtown market on Thursday afternoons. At first, she offered a glossy sales pitch for the market, a project of the Tampa Downtown Partnership. When I told her I disagreed, and that many of her vendors are resellers, and many of the products are about as far from local as you can get (Ugandan vanilla beans, Greek imports, Wisconsin cheeses), she capitulated. Visitors are just looking for cheap food, she said, not quality. And that’s where the resellers come in. As market manager, then, why isn’t she vetting her vendors? No doubt, vetting takes effort. But how much? I watch Leonard Horak sell out of 85 dozen eggs at the Gulfport market, 50 dozen at the Friday Dunedin market and 70 dozen in Dunedin the following Saturday. That’s a lot of eggs. A suspiciously lot of eggs. 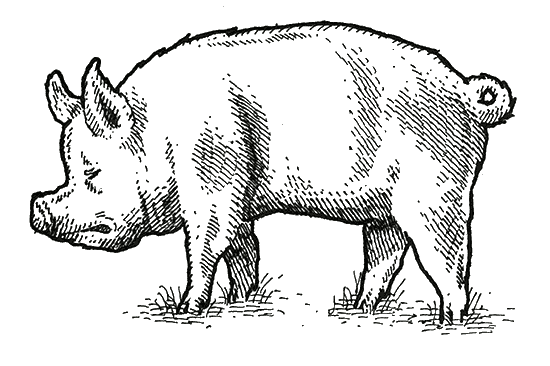 I head out for Horak’s Circle 6 Farm & Ranch in Duette. It’s a long, confusing drive. I ask directions to Circle 6 from an older woman in a pickup. She is Circle 6. Arlene Horak lets me in. 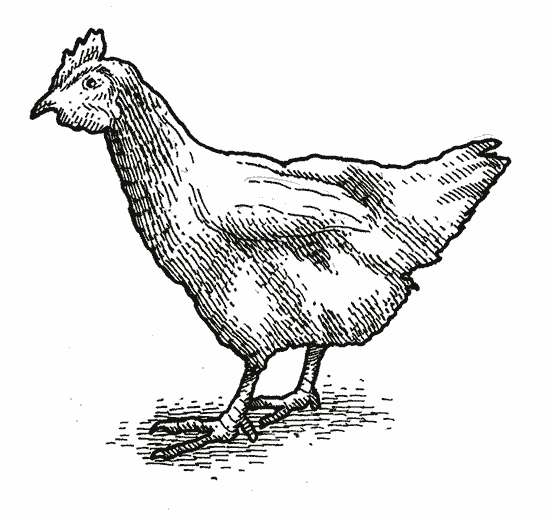 I meet her roughly 500 pasture-raised laying hens, many molting and sending up eddies of feathers as they amble across the short spring grass. Her meat chickens, kept in a nearby coop, are about 6 pounds when the Horaks butcher and defeather them. Arlene Horak rounds up about 375 eggs a day, fewer when the birds are molting. She has heard of market vendors rubbing the Eggland’s Best “EB” stamp off the delicate orbs and selling them as their own. Eggland’s Best aren’t cheap: A dozen cage-free AA large brown eggs right now at Publix in St. Petersburg runs $3.89. “Farm fresh eggs” at the outdoor markets? Often more than double that. Circle 6 charges $5 per dozen. In five hours, I have confirmed Circle 6 is legit. Ten thousand visitors regularly crowd the Al Lang Stadium parking lot to shop St. Petersburg’s Saturday Morning Market, the largest market in the Southeast according to Visit St. Petersburg/Clearwater. Gail Eggeman started it with three other women in 1996. The market moved around a bit and quit operation the next year. It started again in 2002, and by 2006 had really exploded. At first, she said, her attitude was “as long as there are vegetables, it’s a farmers market.” They took all comers without asking too many questions. Then, she discovered one of her hydroponic farmers was a reseller, and another vendor who claimed to be organic was repackaging everything, a heap of plastic clamshells from conventional Michigan mushrooms under her table. She started vetting. These days, real farmers are in one area, resellers in another, all marked as such. She has kicked people out for misrepresentation and limits resellers. You could argue it’s a free market. If Kilpatrick Produce, one of the few resellers to make no farming claims, has the most vigorous stall at the markets, fine. If people are clamoring for Honduran melons, Chilean plums and Guatemalan spaghetti squash, so be it. 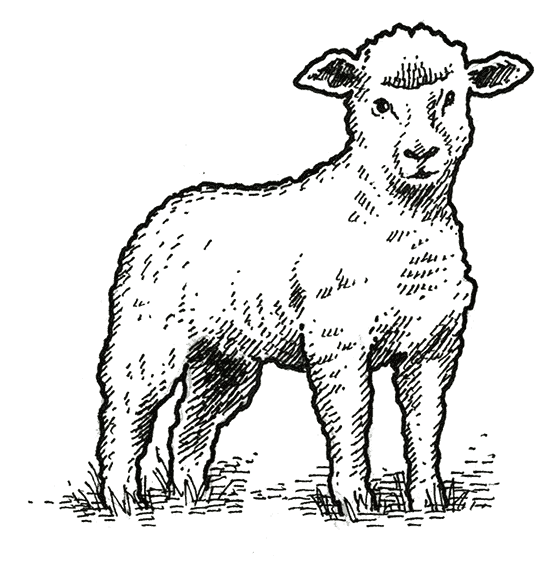 But the area’s small farmers, many wobbly novices, are imperiled. 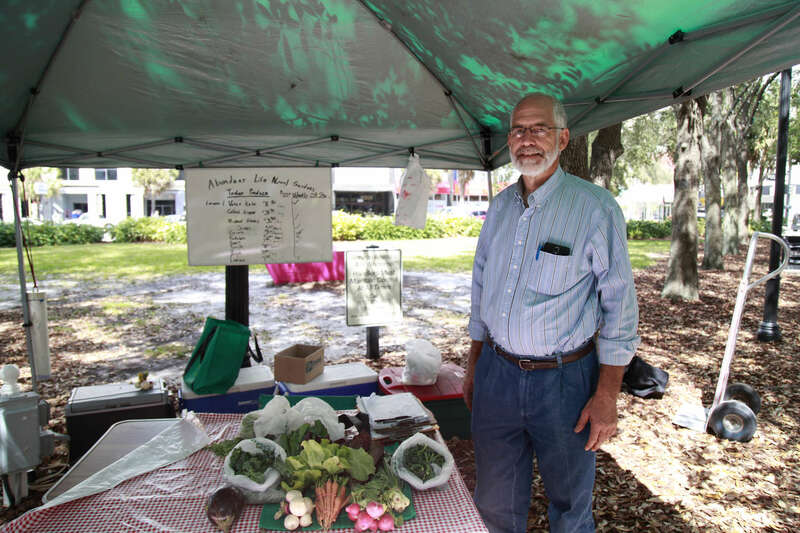 David Goosey’s Abundant Life Natural Gardens in Plant City, which farms 1 acre with organic practices, sells at the downtown Tampa market, his tiny table of carrots and greens often passed over in favor of Gary Parke’s more abundant display. Jonathan DeLura owns Live Oaks Organics in Brooksville and sells at three markets. He earns $300 or $400 per market and lives in a travel trailer. “It’s been frustrating to see people flock to those stands,” he said of resellers. And then there’s Small Town Farms. 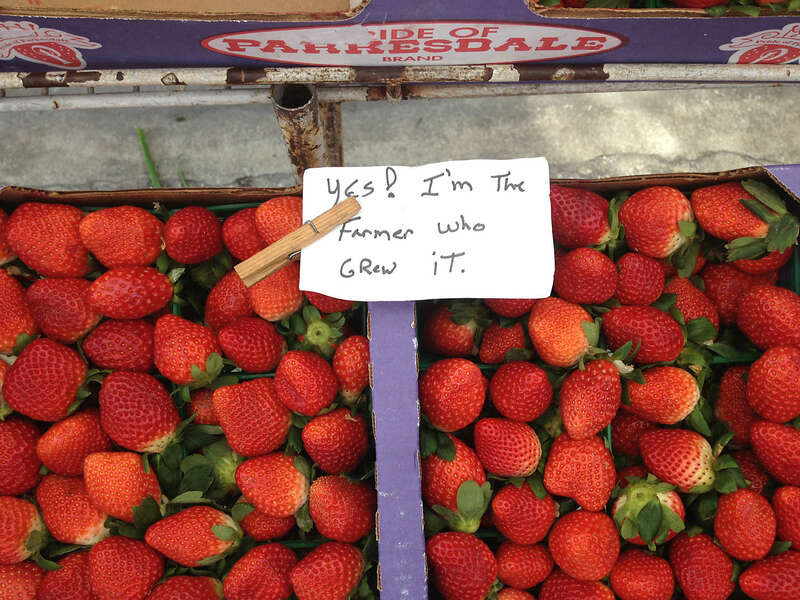 At the North Tampa Market, Page Wyffels said he was the farmer. He patted the carrots as one would the flanks of prize-winning race horses. At another market, he spoke of driving to North Carolina to source. And at another, his produce was freckled with South America stickers. He admitted to buying from Restaurant Depot or the wholesale market on Hillsborough. How is anyone supposed to know where his stuff is from? The dry-aged beef case was lined with pink Himalayan salt slabs. There was a walk-in wine cooler, a “jerky program” and a pastamaker that cost more than a Steinway baby grand. When Locale Market debuted in December 2014 in St. Petersburg’s new Sundial center, diners and shoppers were agog: 11 full kitchens under the thumb of celebrity chef owners Michael Mina and Don Pintabona. Best of all, it was the first committed attempt to showcase all the good stuff from this part of Florida. The website read: Locale Market set its mission to scour the streets of St. Pete, the waters of Tampa Bay and the farms of Florida for the very best and freshest in homegrown products. The mission statement was in the name itself. 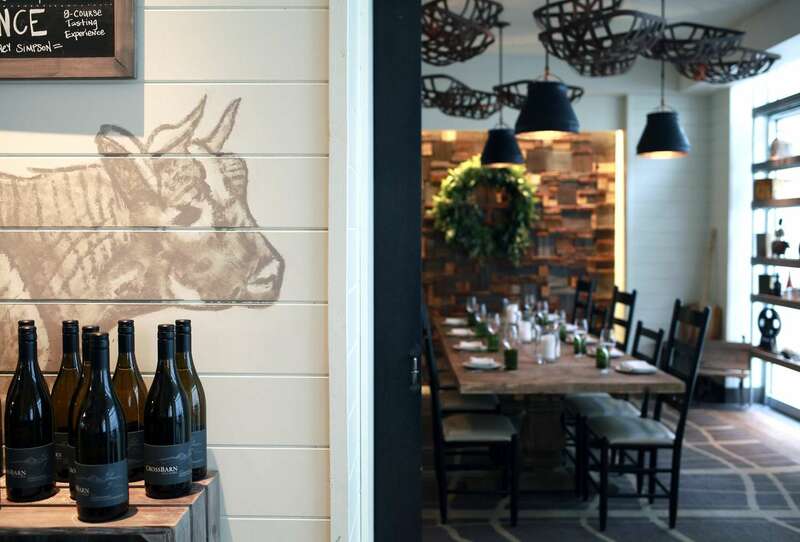 In large measure, Locale and its second-level FarmTable Kitchen restaurant have made good. Locale has functioned like an incubator, helping fledgling local entrepreneurs like King State Coffee, Bloom Chocolates and Kairos Ceramics. And much of Locale’s seafood is harvested within sight of the Sunshine Skyway. But the produce section is a different story. Nearly all of the produce was organic on a recent visit, but only about 10 percent was from Florida. There were Mexican tomatoes, Peruvian grapes, boxed greens from California, peppers from Mexico, and this was at the peak of Florida’s growing season. There were four local farms’ names on chalkboards, but produce manager Scot Schuette said they had produce from only two of these. This has been the market’s biggest conundrum, according to Michael Cohen, vice president of operations. 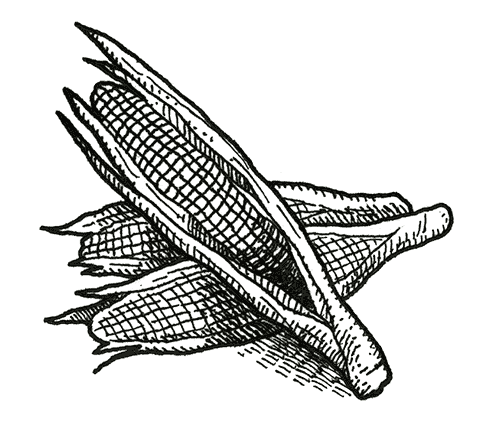 Locale’s commitment is to organic and/or local food not sprayed with chemicals. “Clearly there are lots of conventional farms here, but we’re not going to sell stuff that’s been sprayed with pesticides,” he said. When the market started, it used hydroponic produce from Faithful Farms in St. Petersburg, which went out of business last summer. Locale used 3 Boys Farm in Ruskin, currently replanting with different crops, and it used Gamble Creek Farm in Parrish. Gamble Creek owner Ed Chiles said he would love to supply Locale, but order sizes were too small to justify delivery costs. Locale’s buyers have scoured the area for local farms, Cohen said, and have been told by many that crops are already spoken for. Listening to Cohen, it sounds like they’ve exhausted the possibilities. Through her company Local Roots, Emily Rankin serves as middleman, delivering foods from local farms to restaurants. She said she reached out to Locale some months ago and popped in to discuss options, but has not yet heard back. “It would be a good fit for us,” she said. Eva Worden from Worden Farm in Punta Gorda said Locale approached her, but said there has not been any followup yet. That said, she understands it’s tough for the market. “They created their concept before understanding the landscape of local farm product availability,” she said. Upstairs at Locale, on the way to the bathrooms, there’s a long wall of gorgeous black and white photos of Florida farmers and producers. Many are folks Locale no longer works with, like Pam Lunn, the Tampa goat cheese producer they’ve dropped in favor of more established California products. The ratio of local farmers to handicrafts at outdoor markets is low across the board, from Gulfport to Hyde Park Village. The market manager’s job is to draw the biggest crowds. It’s like planning a party. Maybe having a huge reseller, with its cornucopia of 10 varieties of apples, is the equivalent of having a bounce house. But as any parent knows, a bounce house comes with risks. If that reseller is not marked as such, and customers think they’re buying local, organic, sustainable, it erodes trust and muddies our understanding of what grows here when. And it might keep the real farmers from showing up. We have farms to the north and south of us. The areas with farms have their own outdoor markets. Why would a farmer drive here from Manatee County to stand in the hot sun in Wesley Chapel for five hours? And for farmers who make their money selling directly to stores or restaurants, or at their own on-site farm stands, markets might not make business sense. Despite the inconvenient facts, people want local. 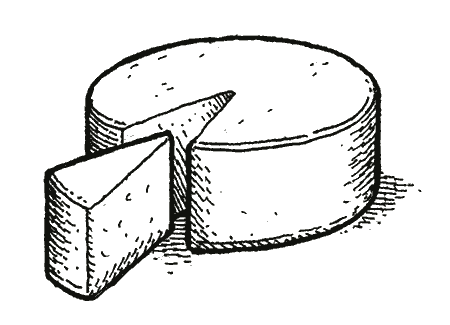 Over the past three years, Garrison has seen a change in customers’ interest in the provenance of food. They started asking questions. “It was like watching a storm gather,” she said. 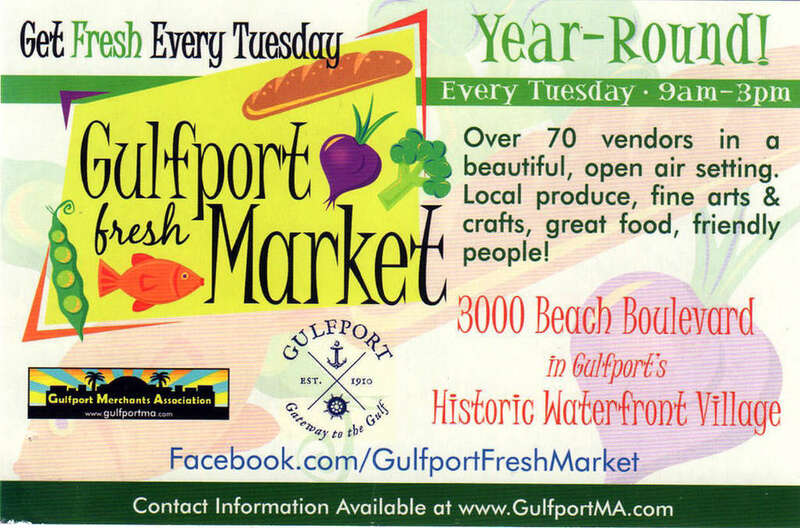 The Gulfport Tuesday Fresh Market touts local produce up high but has nearly none. It seems then, it would behoove the market managers to give the people what they want, to vet the claims of the farmers who do come, like Gary Parke and Christina Lee. Tiffany Ferrecchia manages the Seminole Heights, Wiregrass, Hyde Park, Corey Avenue, Dunedin and North Tampa markets. She struggles to get out from behind her desk and forge those relationships, she said. And for Garrison, market days start at 4 a.m. and end at midnight. The rest of the time she’s a vendor herself, selling vegan food at markets. When I told them I’d been to visit Parke’s farm and had found only derelict hydroponic stackers, they each seemed more disappointed than surprised. Eight days after I met with Ferrecchia in February, a news release arrived at the Times and other media outlets. In it, Ferrecchia outlined reasons it’s hard to get local produce. She promised greater transparency about which vendors are farmers, resellers, GMO-free or organic. We have worked to create a guide that will assist you in making the right choices for you and your family when shopping at the markets we operate. By now, we’re suspicious of that tomato. But surely the lady making jam and the guy hawking hot sauce are as they seem. Naturally, it’s not so simple. Many companies that claim to be local and homemade are actually using something called co-packers. Essentially contract manufacturers, these are gargantuan factories, often in other parts of the country, where foods are produced in mass quantity. So, a sauce company may technically have a local address. But the secret family recipe is produced in a far-off factory, and not with local ingredients. 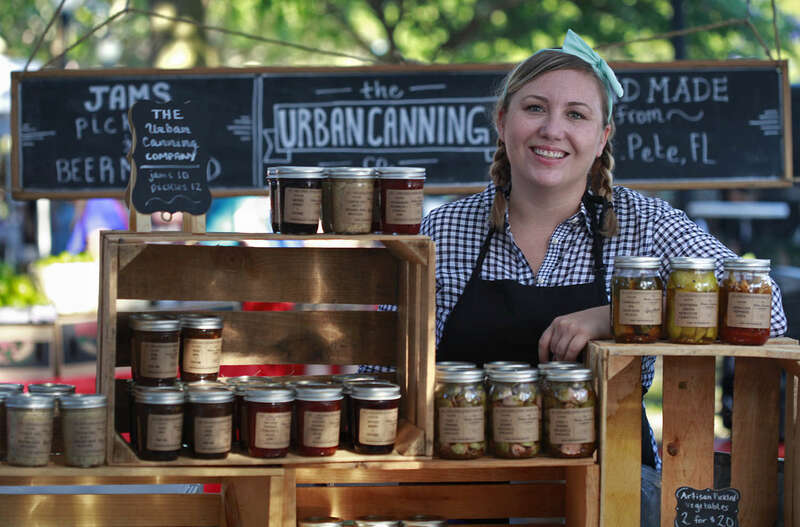 Illene Sofranko, whose Urban Canning Company produces jams, pickles and such in St. Petersburg, competes with people who have taken this route. She sells her products at Locale, as well as at the Saturday Morning Market and the St. Pete Indie Market. You have to read the fine print. According to the FDA, food labels must list the name and address of the manufacturer, packer or distributor. But don’t feel bad if these details have escaped you. It happens to the best of us. Sure enough, when you squint: While Eileen O’Hara’s Brimstone Originals is in Largo and she started in her own kitchen, her pepper jellies are now manufactured at a co-packer in southeast Georgia, where a minimum order is 400 cases. Joy’s International Foods in Melbourne vends at 40 outdoor markets a week around the state. They offer 30 products — dips, marinades, pasta and a line of garlic sauces. Labels are festooned with the Fresh from Florida logo, a state-sponsored program indicating a product is Florida-made with Florida ingredients. 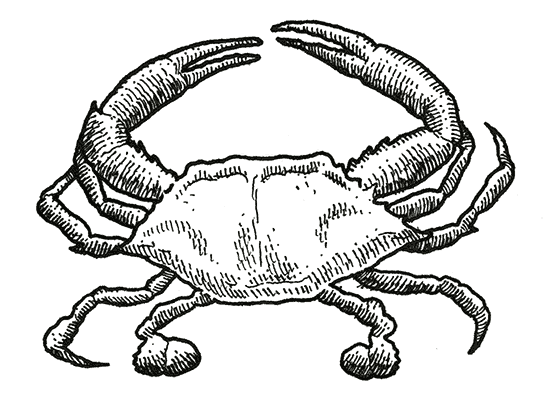 The program’s guidelines call for 50 percent of ingredients to be from Florida. A spokeswoman for Secretary of Agriculture Adam Putnam said plans are in the works to ratchet up that number. Owner Jean Najjar said the tomatoes in his tomato sauces are from California or Italy. And his Garlic Joy sauces? The garlic is from New York or California, sometimes Mexico. Back away. Leave the farm-to-table restaurant, the gourmet grocer, the bustling farmers market with its Enchanted Sunshine Eucalyptus Oil and R. Justy Woodcrafts toaster tongs. Get on the road, go somewhere remote. Take your kid to college. Bring the family to Disney World. Head down I-4, east of the Airstream Ranch and catty-corner from Quality Septic. Pass the Tyrannosaurus rex at the entrance to Dinosaur World. 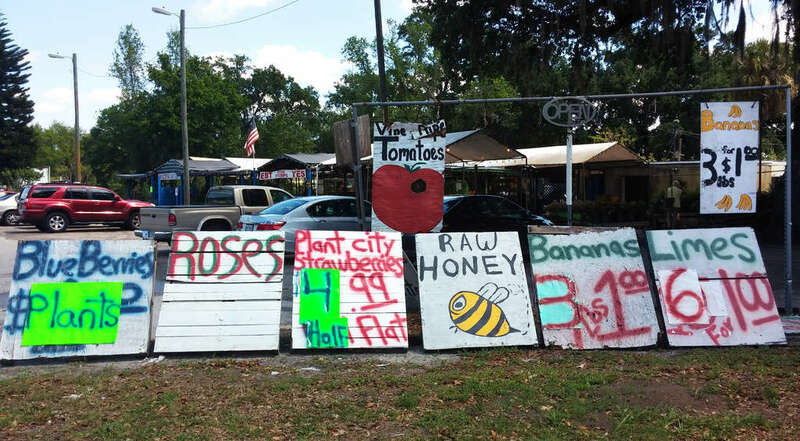 There, you find Forbes Road Produce, the gravel parking lot edged with hand-lettered signs: Plant City strawberries, $4.99 for a half flat. Limes, 6 for $1. Raw honey, illustrated by an entomologically incorrect bumblebee. They’re not making any bold farming claims. But, as folksy as the proverbial Bubba’s Hot Boiled P-Nut stand, it’s got to be the real deal, right? Maybe you stop. Debra and Keith Curtis have. They’ve come from Zephyrhills looking for cacti, drawn by the market’s plants. They frequent Forbes in the spring when they believe the produce is more local. They often buy strawberries and tomatoes, onions and summer squash. They try not to buy much from major grocery stores. I can’t escape it. Like when you buy a new Accord, you see Hondas everywhere. As the Curtises pay for their cacti, I stroll the aisles and peer into the reach-in coolers. Tampa Bay Times food critic Laura Reiley visited every Tampa Bay outdoor market, recording all vendors and analyzing the data. She drove to farms and interviewed the managers of the area's outdoor markets, as well as state officials, wholesalers and other food-industry experts. When she found misrepresentations, she gave vendors and market managers the opportunity to explain. Some declined to provide evidence of their claims.